American attitudes toward immigrants are paradoxical. On the one hand, we see our country as a haven for the poor and oppressed; anyone, no matter his or her background, can find freedom here and achieve the "American Dream." On the other hand, depending on prevailing economic conditions, fluctuating feelings about race and ethnicity, and fear of foreign political and labor agitation, we set boundaries and restrictions on who may come to this country and whether they may stay as citizens. 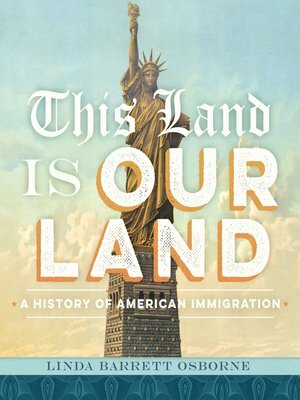 This book explores the way government policy and popular responses to immigrant groups evolved throughout U.S. history, particularly between 1800 and 1965. The book concludes with a summary of events up to contemporary times, as immigration again becomes a hot-button issue. Includes an author's note, bibliography, and index. Linda Barrett Osborne is the author of Traveling the Freedom Road and Miles to Go for Freedom. She was a senior writer-editor in the Library of Congress Publishing Office for 15 years. She lives in Washington, DC.